What do you do when a notorious, intergalactic criminal is being transported along the edges of space? Ask Ratchet and Clank to come along for the ride! Experience the epilogue to the Future series with Ratchet & Clank: Into the Nexus, a new, story-driven adventure starring a classic gaming duo. With Into the Nexus, the team at Insomniac Games has once again built a planet-jumping tale of adventure and daring. 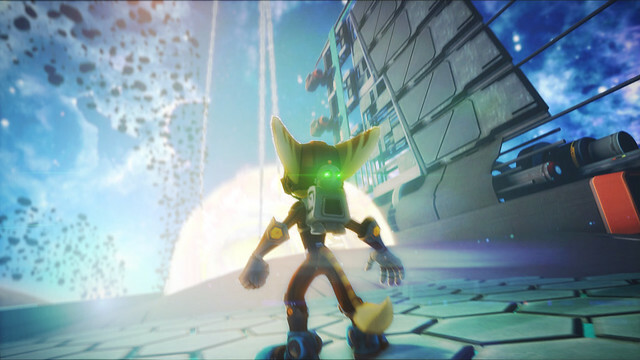 The story follows Ratchet and Clank as they work to stop the terrifyingly powerful Vendra Prog, whose intentions defy the very boundaries of the dimension. Into the Nexus features brand new weapons, new planets to explore, and — of course — the iconic humor that series fans will recognize right from the start. 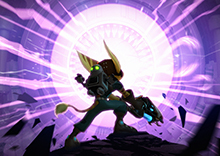 Into the Nexus will be available in stores and on PlayStation Store this coming Tuesday. But Ratchet and Clank aren’t the only brave souls facing an alien threat this week. XCOM: Enemy Within is also launching for PS3 on the 12th. Fans of XCOM: Enemy Unknown, take note: Enemy Within is a huge, standalone expansion that incorporates everything from the first strategy experience, but with a staggering number of additions. 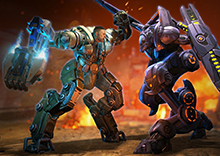 Enemy Within adds new maps, new missions, a new soldier class, new alien opponents, and even a new currency that can change the flow of battle. Just about everything from Enemy Unknown has been refined and expanded on. Anyone looking for a rich, rewarding strategy campaign should keep XCOM: Enemy Within on their radar. 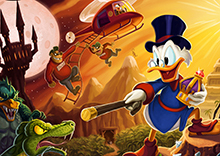 This week also sees the arrival of three new Wonderbook experiences. For a complete list of the games coming this week, read on — and enjoy the Drop. But wait! There’s a certain, special event happening this coming Friday, November 15th. You may have heard of it. The PS4 launch is here at last, and we’ll have more details on the full PS4 launch lineup of games on Friday. The classic, 8-bit adventure returns to the world of gaming with a plethora of refinements and upgrades. Hand-drawn sprites, authentic voice talent, and simple play for platformer fans. The super-charged fighting game is back, and comes packing six new playable characters, 60 new missions, and more than 30 new skins. A surefire hit for any fan of the DC universe. Return to the Future with another space-faring adventure. Wield (crazy) new weapons and stop a devastating new villain. Comes with a digital version of Ratchet & Clank Future: Quest for Booty. Sci-fi shoot ’em up with a teleporting ship! Features an anime-influenced art style, fast-paced combat, and some pretty rockin’ music. Start hunting for a high score. Travel back to the world of Harry Potter with the second Wonderbook title set in J.K. Rowling’s renowned fantasy. 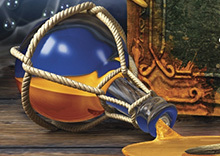 Brew potions, compete for the Golden Cauldron, and meet a brand new character created by Rowling herself. Restore order to the film noir world of Library City. Help the bookworm super sleuth stop crime, and find out who really bumped Humpty from his wall. 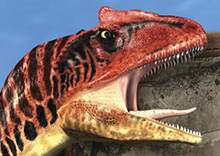 Uncover prehistoric dinosaur fossils, then use Wonderbook to bring them to life. Walk among towering herbivores and deadly predators, and interact with them from the safety and comfort of your home. No time travel required. Revisit the immense challenge and deep combat of XCOM: Enemy Unknown, now with a tremendous array of additions. New maps, missions, weapons, and soldiers make this the definite version for PS3. I have a flight to catch later this morning, so I won’t be able to stick around in the comments for long. But let me know what you think of this week’s Drop! Is R&C 29.99? Just wondering how much I should have in my wallet for when it launches. I’m so excited for XCOM: Enemy Within! :D. BEYOND, Clements! Yeah, it looks Amazetown. Beyond, friend! Not even a single PS4 title on the list ! Indeed, we will have a complete post with all the launch PS4 games on Friday! Almost like a second Drop! Sorry, I’m like a tiger locked on to it’s prey. PS4. Nothing else matters! Oh, except Killzone! 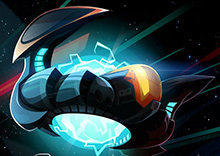 Ratchet and Clank Into the Nexus vita or else im not buying it. No more ps3 game for me. Ryan, your mod powers are waning… your posts aren’t even highlighted in red! Is Ratchet and Clank Into the Nexus coming to ps4? man i hope you guys have some good surprises at the special event. @Ryan, Mind blown. The drop looks good, but nothing for me this week, reserving some cash for the… thing. Still no Beyond digitally =\. Are there any info about this going digital ? 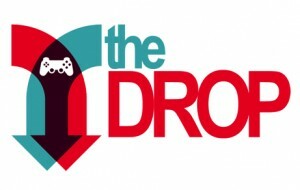 Oh, that’s awesome, a “Drop-like” just for the PS4 ! I know most of the games coming for the PS4 day one, but not all of them so that will help me decide on what else I should get since Watch Dogs and Driveclub got delayed; Killzone and 2 year of PSN+ for now! And with R&C: Into the Nexus, my backlog grows. :( I’m sad I won’t be getting a PS4 day 1. Hold me! Will GT6 get a Day 1 digital release? I have been asking that with no answer. I need an answer asap. Thanks. was a drag to miss out on the code for Into the Nexus on the live stream but I guess my wallet is about to take a beating this week with PS4 and R&C. @iREVOLTER When they have news for Beyond coming digitally, they’ll let us know. Remember, God of War news came after like 7 months. Also, I have some money but I’m waiting for Black Friday. Going to get a year of PS+ for $30. My sub ends in January and I can’t let that happen! Poor college students for the win! Got my money from the October promotion and already grabbed Blackgate for my Vita. Now I can grab Insjustice for my Vita. Enemy Within is so tempting too. Yo Ryan. Beyond! Cool drop but waiting for Friday. Add me on PSN if you want. I think we have a mutual friend in New York. He claims to have met you anyways. Do people who buy ratchet digitally still get the armor and the quest for booty dlc? Sadly I won’t be picking one up at launch. My wife insists that a new furnace is more important. Will Velocity Ultra be a Cross-Buy title, like Limbo? This is from the last week drop but I’ve played it long enough now. I really really suggest you guys givs Final Exam a try. Its a great game that has very advanced game mechanics and is hella fun! Wow, very early The Drop post today. I am planning to get a PS4 system next month for christmas shopping, but I am keeping the PS3 system for future references though. I’m already aware that PS4 will not play any retail games such as PS1 discs, PS2 discs and PS3 discs. I also use my PS3 system as a dvd player to watch DVDs though. So I’m ok with PS4 that only plays PS4 retail discs. But, the PS4 system WILL play PS1, PS2 and PS3 games on the internet sometimes in the year 2014 or so by using Gaikai company that Sony brought last year ago, but I’m not sure how fast the internet speed is required to play those games streaming on the PS4 system though. Other thing I’m interested in PS4 system because of the graphics for PS4 games probably alot more smoother than the graphics for PS3 games. So when will the Before the Nexus mobile companion app be coming out? This is also the week in which the PS Vita TV will be released over in Japan; its launch date there is the 14th. Hopefully, the feedback for that device will be positive, and that we may have a shot of one day seeing it formally announced for release in the West both here and on the EU blog. Getting XCOM this week just to pass time while waiting for FRIDAY! Wonderbook stuff makes me curious when there’ll be a PS4 release of the titles. You’d think with the much improved camera the PS4 totes over the PS3’s Eye, that the AR technology would work wonders with the extra image fidelity, and depth perception perceived from the two cameras sensors built in. so does this mean any remaining PS4 titles won’t go up as preorders but will go live on Friday? So excited for Ratchet. It will definitely hold me over until PS4 on Friday! I hope Ratchet and Clank continue to have adventure next gen! it is very nice to learn what is coming so early in the day on a sunday, thank you for that, this way i along with my kids can see if there is anything that any of us may or may not want to get our hands on. my only question is are you guys planning on going back to get any of the other true classics that were every released on either of the playstation consoles? i mean true classics not some run of the mill games that you could usually find in the bargain bins within a month of them being released. i can still easily think of 30-40 ps1 games as well as 50+ ps2 games without making a really long list. even my kids love the stuff that was around before they were born. 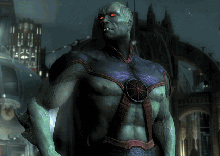 People are very worried that there have been no screenshots of the Vita version of Injustice. It must not look that great. There should be nothing here but an image of the PS4 and the games it is coming out with..LOL CANT WAIT!!!!!!!! Wish I could manage to get Injustice for Vita… maybe I can talk my bf into getting it for me, but with PS4 and all that coming. I’ll have to settle for some R&C action until next gen.
@41: We’ve seen gameplay of it… go look it up on YouTube. Looks far better than Mortal Kombat did/does. Where did all of the PS4 game Pre-Order’s go on the PSN store? Anyone know when they disappeared? 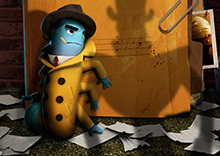 Sly Cooper®: Thieves in Time – Cross-Buy Sale? The Wolf Among Us Ep.02 ? Ms. Germinator (vita) – Deals 30%/50% (plus)? I think the time to pre order them has ran out. I thought Flower for the Vita was supposed to come out this week. Any news of terraria on vita? Will it be cross buy and cross save? Ryan you honestly should put the PS4 Drop on Thursday night while everyone is waiting in line for the midnight release of PS4.